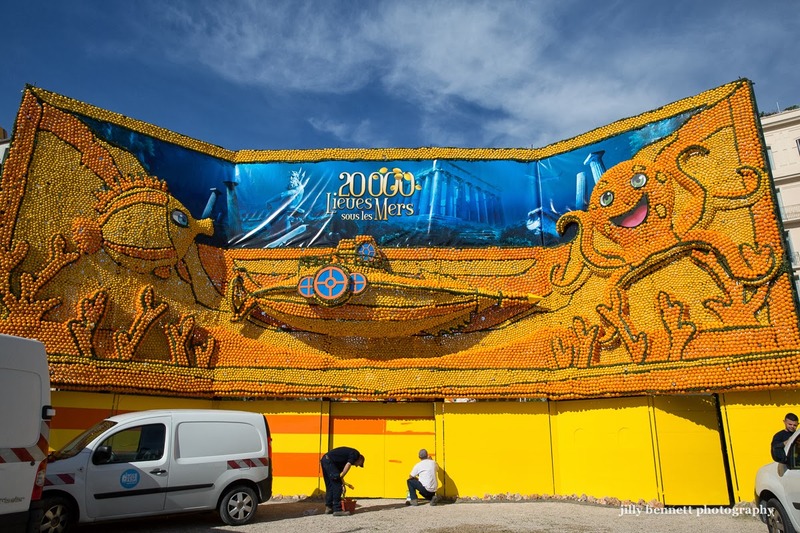 These photos were taken the day before the Fete du Citron started. 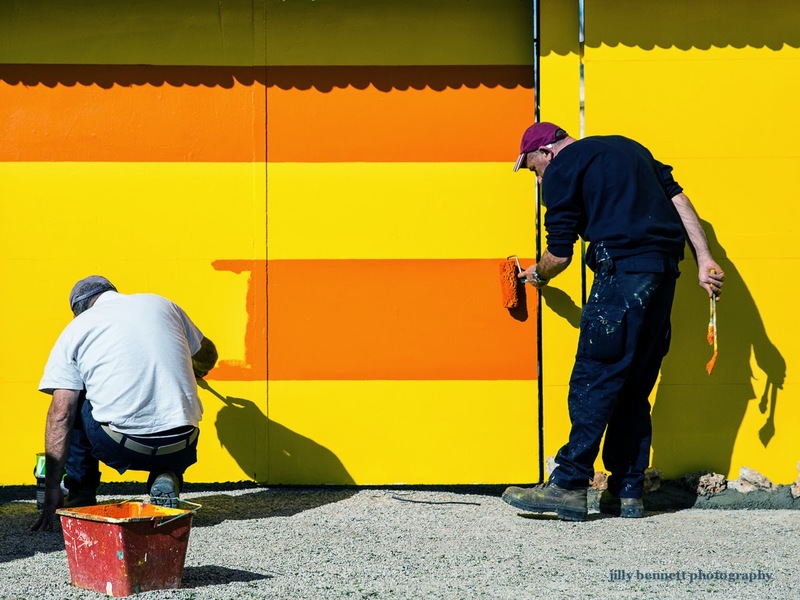 It takes a lot of workers a lot of time for the wonders of the festival to be created in oranges and lemons. And that includes painting everywhere orange and yellow of course! Ces photos ont été prises la veille de l'inauguration de la Fête du Citron. Il faut beaucoup de temps, beaucoup d'ouvriers pour que les merveilles de la fête soient réalisées en oranges et en citrons. 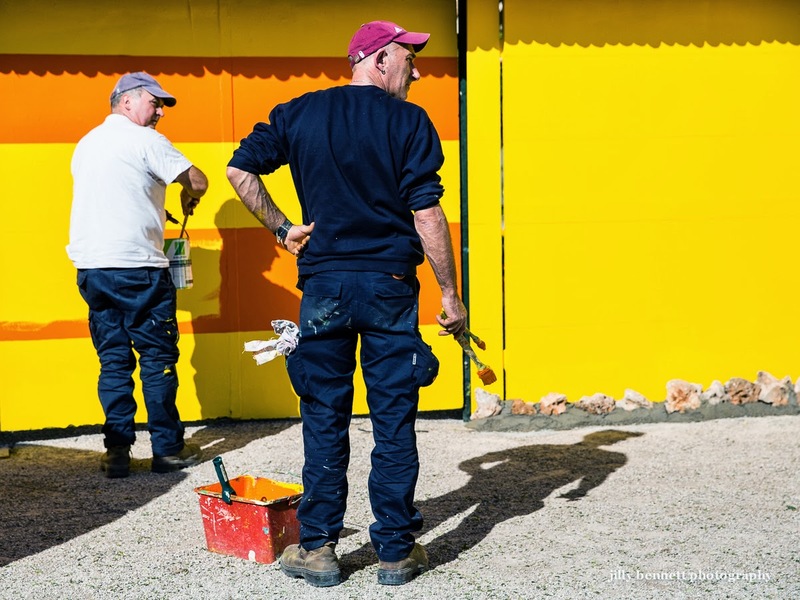 Et cela inclut les fonds de peinture orange et jaune bien sûr! I now find myself wondering what drew their attention in that last shot. William, I'll post about that another time but it was one of those helicopter cameras being set u. Perhaps a new departmental flag for Alpes-Maritimes? Love the top photo - very graphic! The bottom one puts things in perspective. They complement each other well.